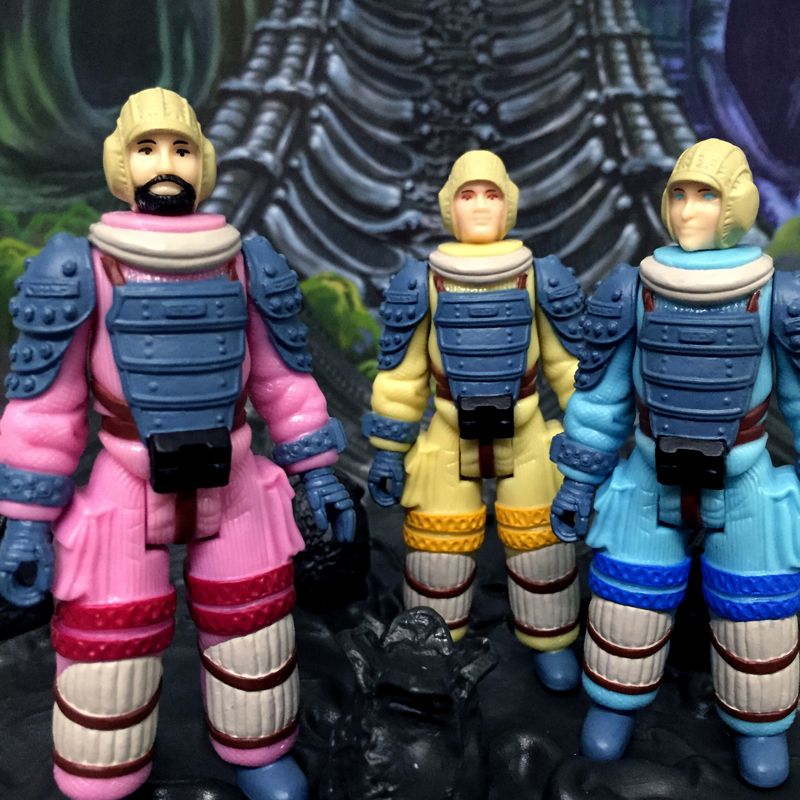 Super7 is bringing a treat for ReAction and Alien collectors at the New York Comic Con this October. 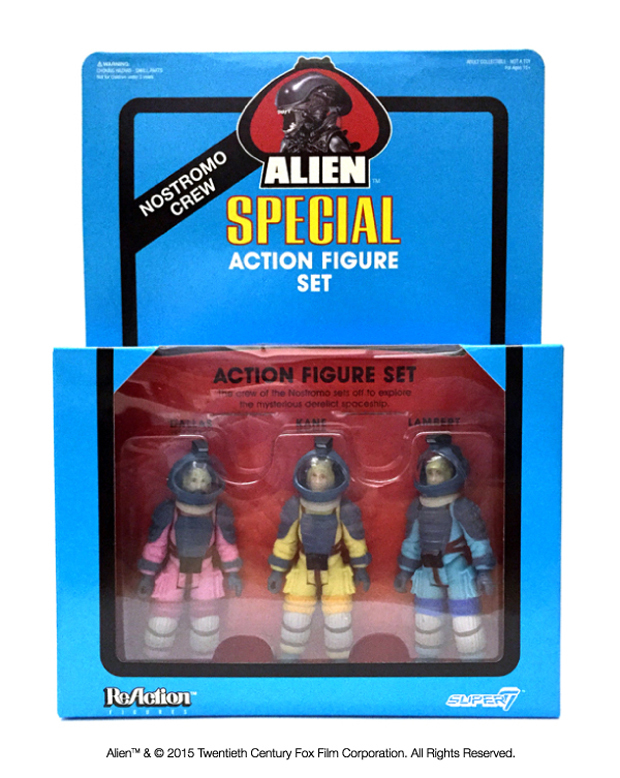 The Special Action Figure Set is a three-pack featuring 3.75″ figures of the Nostromo’s poor crew members Dallas, Lambert and Kane in their color-coded spacesuits. Super7 says the Dallas and Lambert figures sport new head sculpts. You can get the Special Action Figure Set from Super7’s booth at NYCC for $45 (USD).